Last Monday I took my managers into London to have a look at foodie places- all in prep for my lovely new shop due to open in May! The day was great- well it was for me……. a day looking at food and thinking about what food to buy is a perfect day in my view. But everyone seemed to have fun, and a lot of cheese and fish were purchased. I have also purchased a mini drone which I can not get to fly properly…. 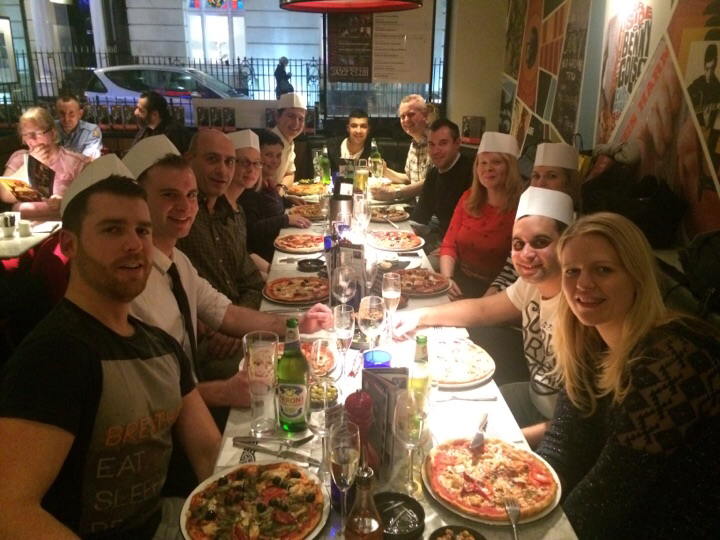 We ended the day by making pizzas at Pizza Express in Soho. 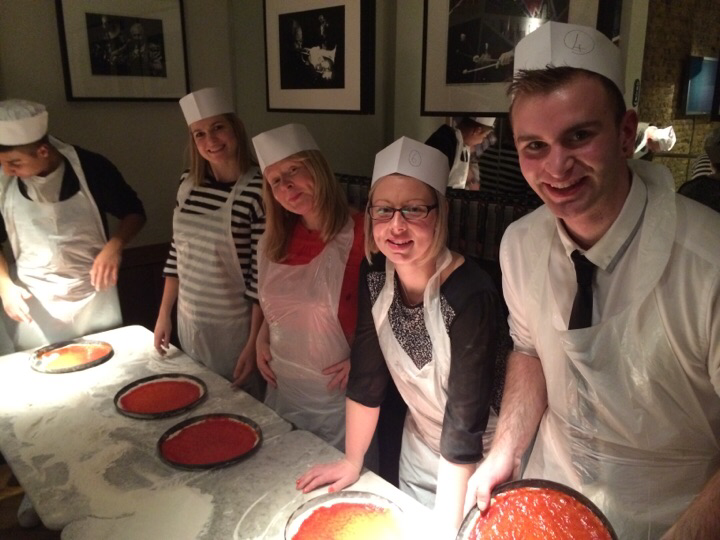 This is something they normally do with groups of children………….. but I can not recommend it more as it was so much fun!!! As usual I piled way too much onto my pizza making it a little sloppy in the middle, but it was tasty! Other pizzas around the table looked gorgeous, and very Italian-like. A really good day, a lovely evening and finished off with some cocktails at the end of the night…. Team Horsham do London!